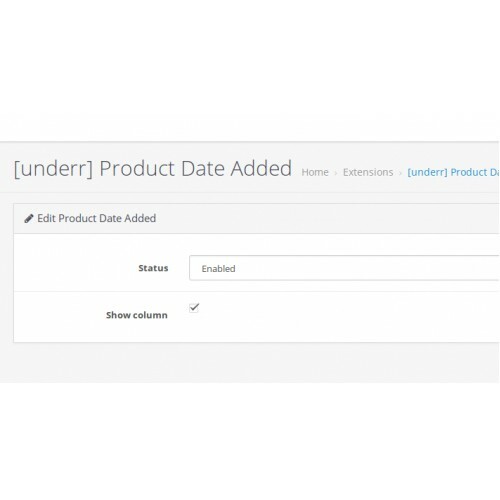 The Product Date Added extension is for CMS Opencart 3.x Admin Panel. 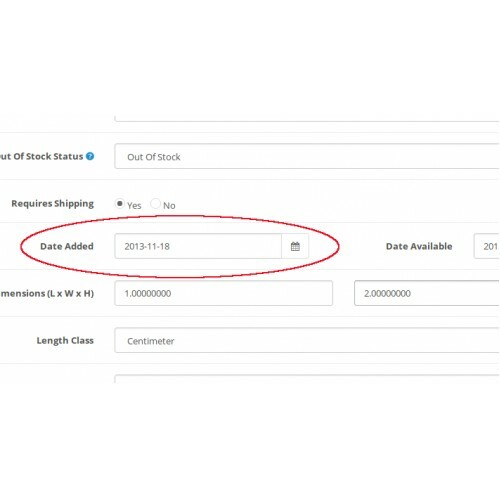 It allows to display and edit date when product was originally added. 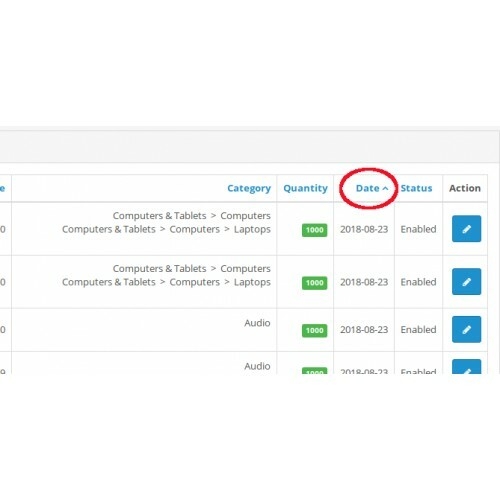 * OpenCart Admin Panel extension. * Changing product added date. * Adding column with the product added date in the product list. * Sorting products by date added. * Multilingual (settings only in EN/UA/RU). * OCMOD - does not change original files. * Admin > Extensions > Installer > [Upload]: open the extension file. * Admin > Extensions > Modifications > [Refresh]. * Admin > Dashboard > [Developer Settings] > [Refresh]. * Admin > Extensions > Extensions > Modules > [underr] Product Date Added - [Install]. 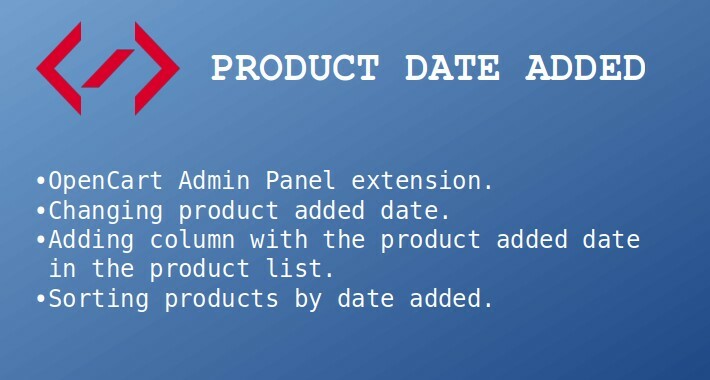 -- To show column with dates when products was added - enable "Show column". -- To change product date added go to Catalog > Products > Product [Edit] > Data > Date added. * Admin > Extensions > Installer > Install History > find the extension file > [Uninstall]. * underr.space - Description for all of my OpenCart extensions in Russian.